The Ultra Tech Glove features Dyneema brand fiber for high tensile strength relative to its weight-up to fifteen time stronger than steel. It is nylon knit with a salt and pepper polyurethane coating. 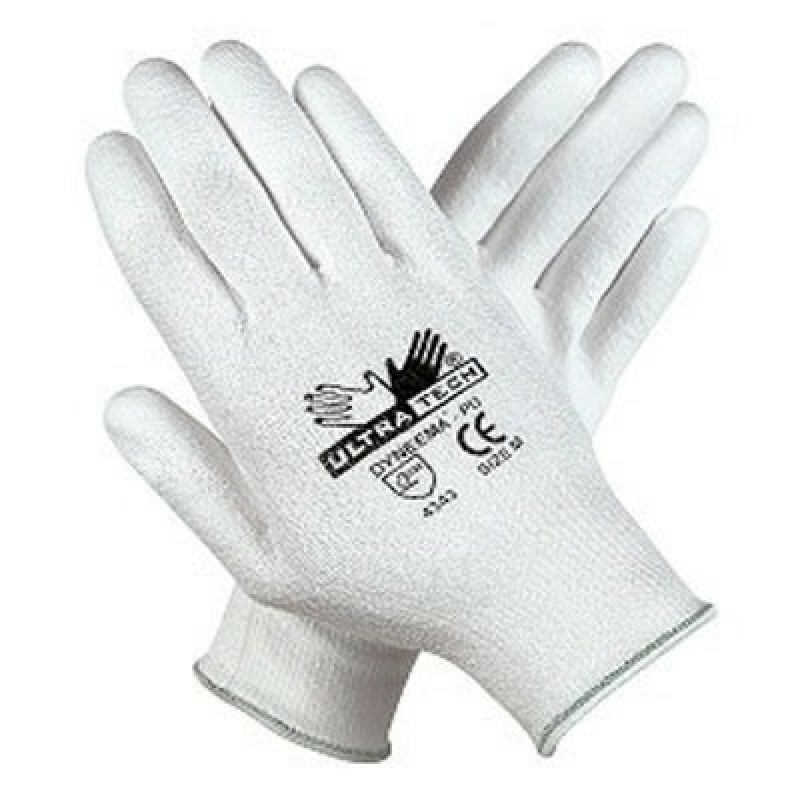 This glove provides a high comfort level and is machine washable. Ideal for automotive, metal fabrication, ceramics, paper & pulp industry, textile industry and other applications requiring ultimate cut protection.